We LOVE to design and install beautiful and functional concrete patios and porches for our clients so that they can create special memories with family and friends! Porches and patios often take a beating from inclement weather, heavy foot traffic, and more. However, where many other materials fail, concrete succeeds. You don’t want to run into constant issues when things get tough. 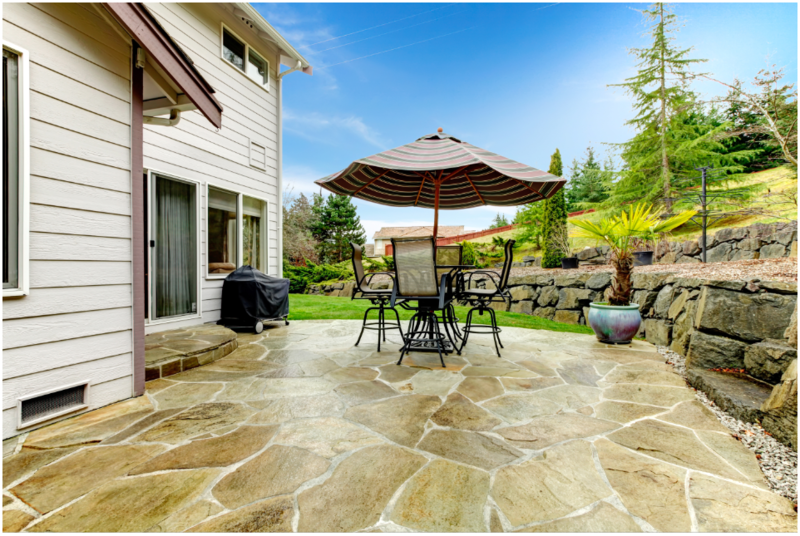 Instead, consider installing concrete on your porch or patio to ensure a strong, durable, and easy to maintain material long into the years to come. We offer many decorative options such as stamped concrete, textured concrete and stained concrete. So, what more are you waiting for? We are ready to make sure that you get the patio or porch that you are dreaming about! We are very excited to discuss any aspect of this further with you if you would like. Just give us a ring or send us an email to get the ball rolling. We very much look forward to receiving your call. We will be on the other end to offer great customer service.